Custom wood storm and screen insert combination door. Custom wood arch top storm / screen combination insert door. Custom wood -custom design storm / screen insert combination door. Custom wood storm door - double pane insulated glass. 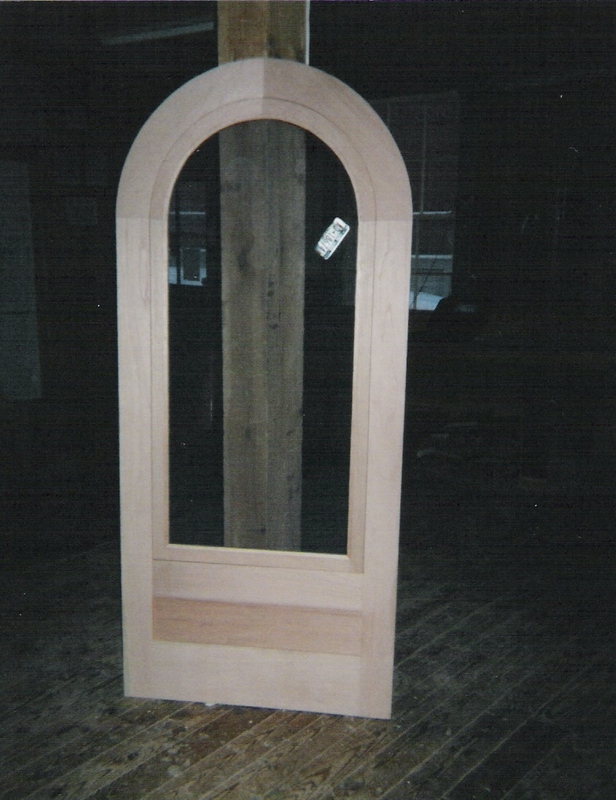 Custom wood inner arch top storm door - reproduction of existing. 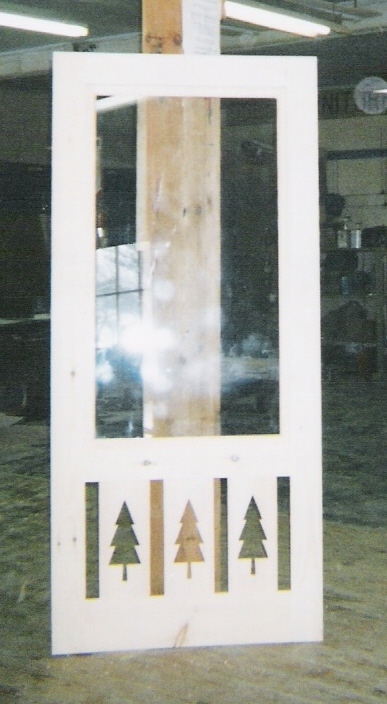 Custom wood storm door with decorative panels at the bottom. 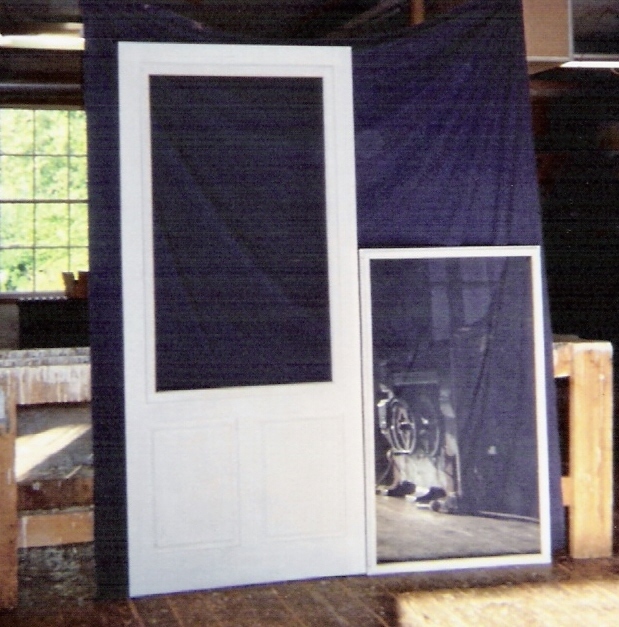 Custom wood screen door - nine divided lights at the bottom. 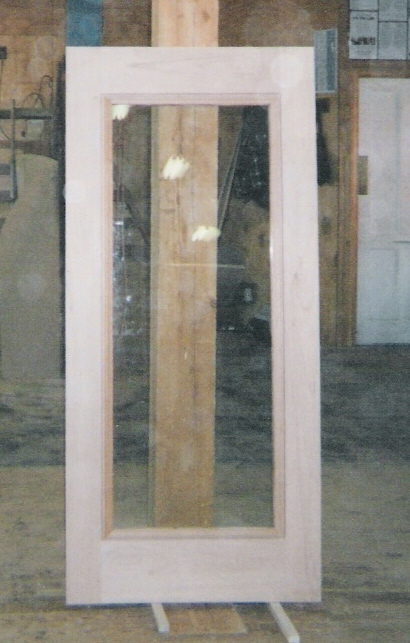 Custom wood storm door - one horizontal divider. 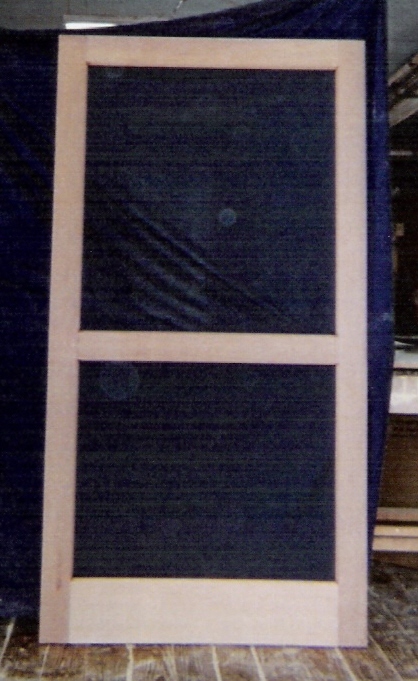 Custom wood screen door - one horizontal divider. 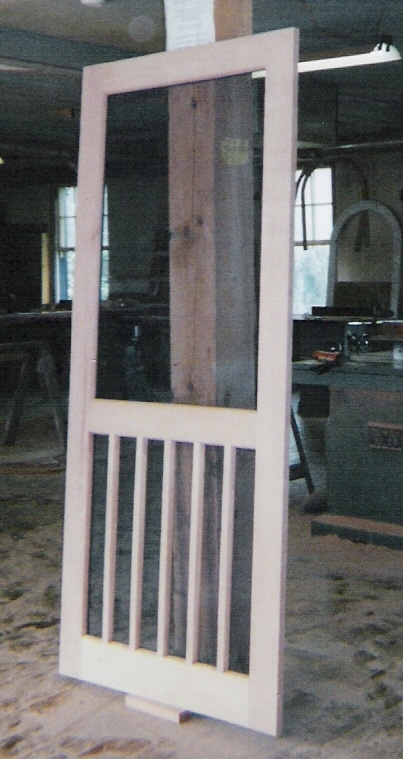 We custom build traditional solid wood storm doors, screen doors, and storm /screen combination doors. Reproduction of existing, replica of desired design, new design for existing opening or new construction. Arch top, inner arch, single light panel, multi divided lights or one horizontal divider. Custom fabrication as per customer's request ; any thickness, size, or design. as well as new constructions.